In early 2013 Microsoft approached Joshua and James to talk about their work at the LAB at the Rockwell Group. The LAB's main inspiration was embedding digital properties into physical objects and environments, from building size operating systems, to digital maracas, to environments that were digital platforms for the arts. Though they couldn't tell us the details, they assured us that this project would test our creative capabilities, and push our thinking about the relationship between the physical and digital. We were convinced, and by March of 2013 we packed up and moved our families from New York City to Seattle to begin work on this secret project. From the beginning of our experience we knew that we were in one of those special moments in time where we were helping bring an emerging technology to life. Like all new technologies, it drew heavily from the past, but it also demanded that we 'listen to this new medium' and understand the nature of the experience being created. As pieces of the technology were developed they each taught us something new about the medium. As the project grew from incubation to the first developer release our roles changed to take on more management positions but we never lost our love for prototyping on the actual hardware, regardless of the stage of the device. We navigated the tumultuous waters of releasing a new product category into the world by developing rapid prototyping techniques, novel system design approaches, and example projects and videos. “The phone is already dead,” he says. 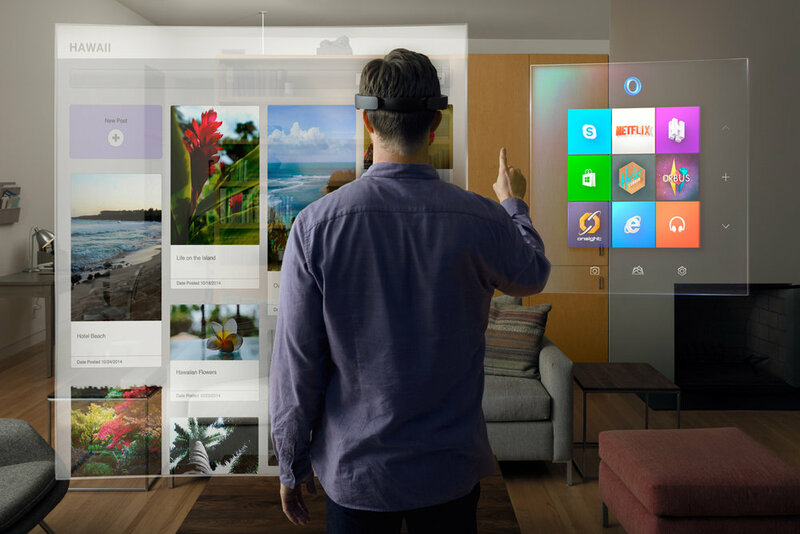 “People just haven’t realized.” Kipman is convinced some kind of mixed-reality device like the HoloLens will replace the phone—a theory echoed over at Apple. From 2013 to 2016 as the team grew and we got ready to ship the developer edition of HoloLens it became increasingly important to focus on what was best for the team, what would make an impact, and what it would mean if we could pull this off. The hard work paid off and we've now had the opportunity to shows hundreds of people their first Mixed Reality Holograms. The act of giving those demos was one of the most rewarding parts of the project. Innovation is what happens once your product or experience starts to get used by an audience. We are in a moment that represents the "Cambrian explosion" of Mixed Reality where we will see headsets, audio devices, most consumer electronics, and new things all integrate parts of Mixed Reality into their devices and services. Devices knowing where they are in your environment is hugely powerful to solve problems of relating digital information to our physical world in meaningful ways. This is the very beginning of this medium. Get in touch if you'd like to explore with us. The most important thing about a technology is how it changes people. 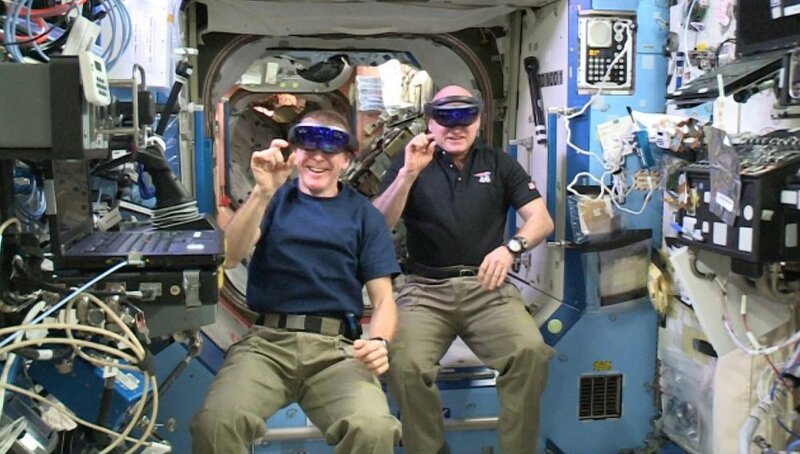 The HoloLens / NASA collaborationsThe HoloLens / NASA collaborations were spectacularly energizing (Read more over at NASA). As the team watched the launch of the first HoloLens into space disaster struck when the rocket exploded in flight, but the response from Microsoft and NASA was to keep pushing until we made it work, which it eventually did, and HoloLens was the first product many of had worked on that was used in space. This is the tweet that Satya Nadella sent after the first rocket exploded. It was a defining moment for the team to continue the development and build something bold. Today we can see Mixed Reality being useful in areas that already have 3D data captured by offering a new way to view that data, particularly in the Medical profession. 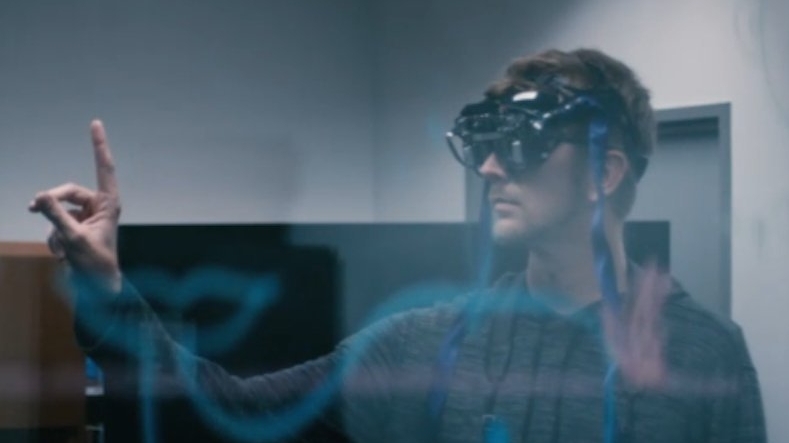 We can use Mixed Reality to visualize invisible data like magnetism, radio signals, or pollution. We can develop new types of collaboration where we can see through the eyes of another person. We can places interfaces for objects directly on the objects to control them. Today there are new storytelling methods are being developed with Mixed Reality. Tomorrow we see Mixed Reality bringing more synthesis between the digital and physical lives we lead. Less being torn between things and more being present in the moment. Less screens and more interfaces that develop from our daily activities. More about those ideas coming soon on our blog.